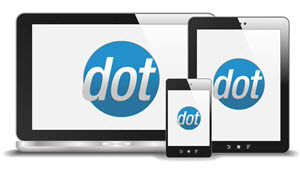 Recurring products are repeatedly ordered products having a definite number of shipping interval and frequency. 1. Go to Product Manager and choose the product you want to set as recurring product. 2. On the Product Variant’s Level, go to the 'Is Recurring' field and click Yes. 3. 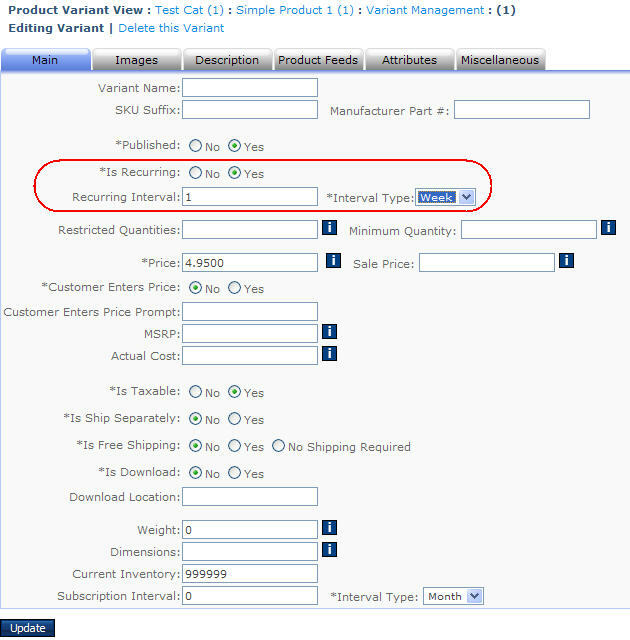 Next, specify the number of Recurring Interval for the shipping. 4. Then go to Interval Type and choose from the dropdown list containing Day, Week, Month, Year options. 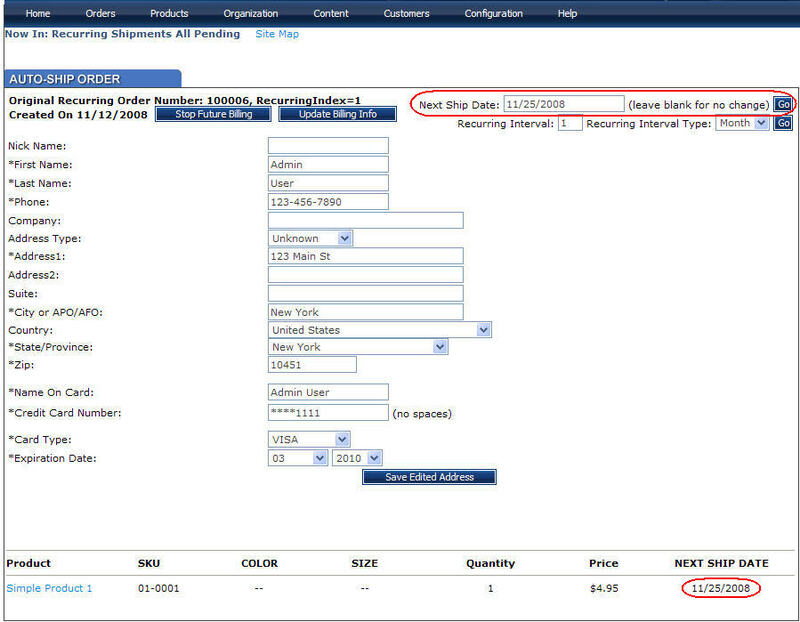 The difference on a recurring product from a non-recurring product is that, when it is being ordered, the Autoship, Shipping Interval Number, and Interval Type are indicated in the Shopping Cart form. 1. Go to Orders → Recurring Shipments – All Pending. 2. The list of all recurring products each defined in an Auto-Ship Order form will be displayed. 2. On the Next Ship Date field, type the date you want to set as the next shipping date. 4. Notice that the next shipping date you set will reflect below. 5. You may also use the Recurring Interval field by specifying the number of shipping interval and the Recurring Type to indicate the shipping frequency. 7. The next shipping date you set will also be reflected below. NOTE: If the shipping date is set on the present date, a PROCESS IT notice will appear. 1. Go to Orders → Recurring Shipment - All Pending. 1. Go to Orders → Recurring Shipments - Due Today. 2. The list of orders currently due will be displayed. Click the “Process It” button for each order you want to process individually, or click the “PROCESS CHARGES…” link that appears at the top of the page to process all currently due orders in bulk. 3. To view the updated report of current recurring orders. Go to Orders → View/Manage Orders. 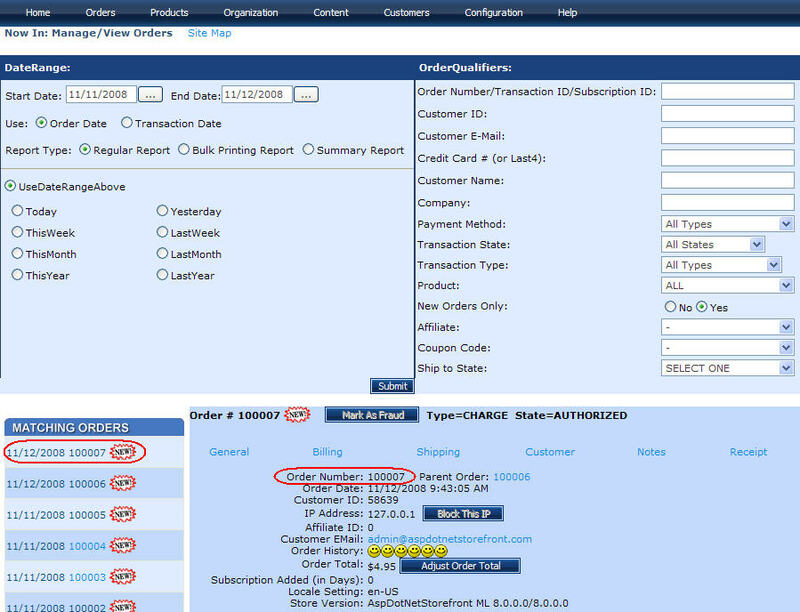 Each order that was processed in steps 2 & 3 above will have created a new ‘child order’ that will display on this page. From that point on, those orders are processed the same way any other order would be.